Why Would Anyone Buy a Car From Your Dealership – Really? We’re getting some conversation and sharing rolling this weekend with a post by Brian Pasch. He’s looking for the answer to what appears to be a simple question. But, is it? Why Buy A New Vehicle From Your Dealership? I love working with car dealers to create a comprehensive marketing road map that integrates traditional, digital, and social media marketing channels. The more I work with dealers, I am finding that the dealers starting point to create a solid marketing plan begins with a simple question. 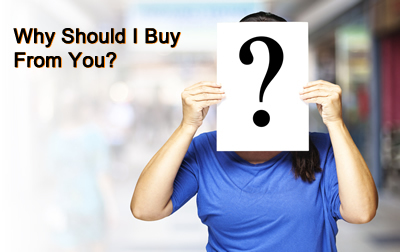 This question seems to be difficult for most dealers and their staff to answer effectively. Why would anyone purchase their next vehicle form your dealership? Last week, Google+ announced that you can use animated gifs for your profile photo, and provided some search results on how to get started. Playing nicely with gifs is yet another feature that Google+ has over Facebook, and I believe gifs should be a regular part of your content creation arsenal. Because of their incredible longevity (in internet years, they’re like a million years old), animated gifs are one of those internet curiosities that shouldn’t be ignored or dismissed as being just for kids. Yes, gifs can be annoying, especially when there are too many placed in close proximity of one another, but when used correctly, gifs can breathe life into otherwise static posts, and the possibilities for repurposing are immense. With younger social media users, gifs are as popular as ever, if not moreso — If you’ve ever used Tumblr, you know exactly what I mean. Twitter’s 6-second video app, Vine, sought to capitalize on the popularity of animated gifs by doing them one better and including audio, but I would argue that audio is the worst thing about Vine. Too much rustling wind and club noise dampens the experience for me. Kick off the selling season with all the tools to be successful! Join us for the Minneapolis eDealer Summit at the Hilton Minneapolis/St.Paul Airport — Mall of America, on April 10, 2013, for a day of quality digital marketing education. Attend the Minneapolis eDealer Summit for 360 degrees of e-commerce solutions: search, SEO, SEM, websites, analytics, CRM and sales. It is a full day of education, networking and problem solving with cutting edge digital companies, round table discussions and a cocktail reception. Dealers, GMs, GSMs, e-Commerce Directors, Internet Sales Managers, CRM Managers, and BDC Managers you cannot afford to miss this one day event! Industry leading speakers, like Grant Cardone and Peter Leto from Google, will discuss current trends and the skills and tactics needed in order to have a strong digital marketing presence. Topics include: Social Media, Organization, Online Sales, Website, SEM, CRM, SEO and more! 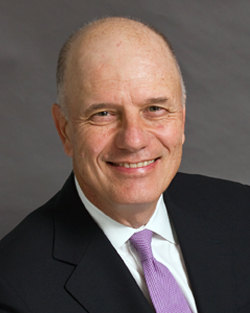 This morning, AutoTrader.com announced the departure of Chip Perry as Chief Executive Officer of AutoTrader Group. He was AutoTrader.com’s first employee in 1997. Since then, AutoTrader.com has grown to become the world’s largest automotive marketplace, and Perry has become widely recognized as a pioneer of the online automotive industry. Chip led the company through the acquisitions af Kelley Blue Book, vAuto, HomeNet Automotive, and in 2011, VinSolutions through 2010-2011. I’ve spoken to Chip many times over different industry events and dinners. Despite some of the publicized opinions of AutoTrader.com that would run rampant here on DealerRefresh, Chip was always a gentlemen and would go out of his way to say Hello. Who is and/or what is next for AutoTrader.com? For years I’ve been following this guy Bob Lefsetz (after Alex turned me onto him), I love his pointed articles and the insight he offers into the music industry. 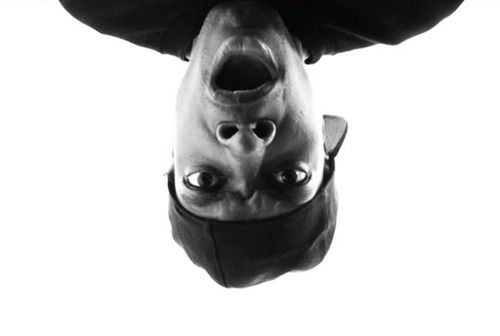 Since the majority of the time automotive industry professionals speak to non-automotive folks we get looked at like we’re zombies from the Walking Dead, I was pumped when I saw his latest article was about buying a car. We live and breathe buying, selling and trading every day, all day – and we all too often get training, advice and education from those in the automotive industry, so that is why I think Bob’s perspective is important for all of us. The first part of Bob’s article explains the difference between his car purchasing perspective versus his wife’s. He’ll keep a paid-for vehicle, never leased for up to 200,000 miles, preferably a BMW and his wife trades in after three years. While the first part is more of a background, the perspective and “take it all in” part comes toward the middle. Right about where they walked out of a BMW dealership because the salesman was “clueless” and took over 20 minutes to bring them a car to test drive. Offended? Absolutely. At a $50,000 price point, Bob explains, you don’t keep your customers waiting. Paper napkins versus linen. I know where I’ll find both. Then off to the Audi dealership down the street where the salesman was overly nice, educated and never said no. In Bob’s words, it’s the front men (and we mean women, too) who make the difference. The BMW got them on the floor, but it was the poorly trained salesman who made them leave. They hadn’t been thinking about buying an Audi when they left that day. And, according to Bob a car is a three-dimensional outfit. Whoa. First time I’ve heard that. Why else drive a Porsche when a Prius will fit the job just the same? Your parking spot at work. That’s why. Do we treat leads as if they already bought the car? How many Bob’s come onto your lot? When was the last time you had insight from anyone NOT in the automotive industry? You can read article in its entirety here, and check out his other articles. Brian Pasch comments on why dealers need help on more things than telling them to fight SEM spending. There are other games to play. A great discussion broke out on DealerRefresh Forums and I was compelled to comment, but then it turned into a longer story! Ed Brooks used a “tried and true” technique to engage readers with the eBay study data, and it worked. Behind the eBay story was Ed’s point that dealers should investigate the ROI of branding keywords like buying their own name. However, the discussion did not just stay on that one point, which is common when passionate professionals engage on DealerRefresh. There were so many points in the discussion that peaked my interest. So let me address a few of them to stir the pot (like Joe) and to add my perspective. First, let’s discuss the Dataium study. I like the products that Dataium delivers to dealers and OEM’s and I respect their mission. However, I contend that the entire premise of the report is flawed. I think it actually is a step backwards in in helping dealers sell more cars at a lower cost. Also the data in this report does not match my experience working with hundreds of dealers and their analytics. The Dataium study did have great data about audience overlap and the influence of Cars.com on dealership website traffic. I wish the study stayed on that topic; showing dealers the value of being part of the Cars.com platform. That would have been helpful in educating dealers why they should always have Cars.com as part of their sales strategy. Dealers are spending their marketing dollars in significantly worse ways than on SEM, which deliver a poor ROI in regards to getting eyeballs on their inventory. Why the fight with SEM? Why not pick the fight with the $15,000 a month in newspaper, the $25,000 a month on radio, or the $40,000 on cable TV? How well are those investments generating VDP views on a dealer’s website and at what cost? Cars.com never needed this comparison; they deliver the lowest cost per VDP on the planet. Of the dealers I work with, they are generally spending $3,000-$5,000 on Google Adwords per store, $3,000 on Cars.com, and $5,000 on Autotrader.com. This is an average and the premium packages offered by third party classified sites raise that number higher, depending on the local market. 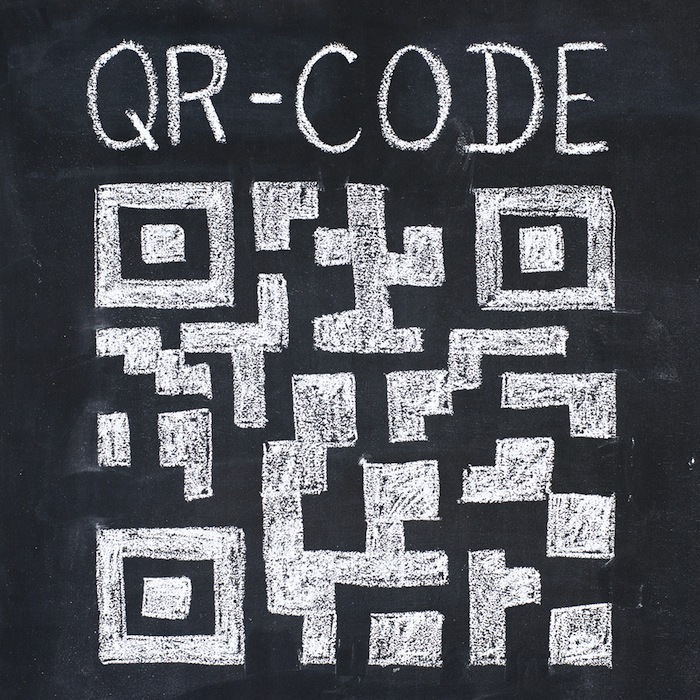 QR Codes – Are We Still Talking About’m? YES! By the year 2016 it is expected there will be over one billion smartphone owners, ready and able to shop, browse, research, click, text, post and scan. And, scan they will, according to Pitney Bowe’s recent report that looked into QR usage in the United States and Europe. To the surprise of many, it’s on the rise. QR Codes are a hot and ongoing topic over here on the DealerRefresh forums. Over 300 comments, opinions and tricks for best practices at the dealership, this thread stays in the top 10 week after week and month after month. According to the report, and kudos to smartphone adoption, QR code usage is on the rise and the time for any marketer to take advantage of this is right now. The report revealed that 19% of people surveyed in the US have used QR codes, with magazines attracting the highest percentage of users. TV and websites attracted the fewest, due to the transition from digital to digital not being as attractive as print to digital. QR codes originated in a non marketing environment – so are we just trying to make them into something they are not? Well, not exactly. As marketers, it’s our job to point consumers directly to where we want them to go, not give them too many options and QR codes do just that. A QR code on the coffee cup in your service waiting area that takes them to a unique landing page with a form to receive future coupons? An after-hours lot lurker scanning a QR code on a hang tag that takes him to a mobile model landing page with the current incentive and lead form. What do you think about using QR codes at the dealership? Are they here to stay and on the rise, or have they already had their 15 minutes? Comment below or join the conversation already happening over in the forum. Century Interactive is on the 7th floor of a cool office building in Dallas, TX. To our right, as we look out, is Downtown Dallas. To our left, and no more than a pitching wedge away, is a bustling Whole Foods. It’s a great spot for a high end grocery store and they do really well. Whole Foods is smart. Really smart. They offer hands on events at the store. These fun interactive sessions like cooking classes, baking classes, sit down meals, barbeque skills sessions, and wine tastings. A couple months ago, I forked over $40 for myself and a date to participate in a wine tasting class. It was fun, informative, and we bought a couple bottles to take home. 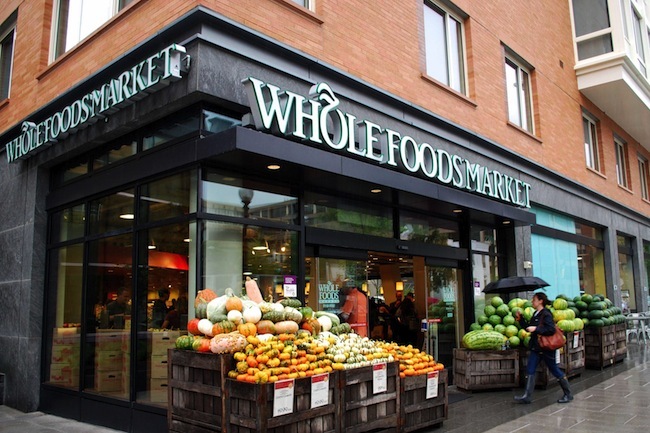 Here’s why Whole Foods is smart: They aren’t getting rich from my $40 to attend the class and while they’re happy I purchased on the spot, that’s not the end game. The end game is for me to leave the class feeling like a “Wine Guy.” I’m a guy who drinks wine. I’m the wine drinker in my group of friends. I’m the guy who knows a little about wine. I’m the guy who can recommend wine. Ultimately….I’m the guy who shops at Whole Foods for wine. Quite literally, I walk to Whole Foods after a long day to grab a decent bottle of wine and fresh food. Note that I’m not a rich fancy wine connoisseur. My beer of choice is Miller Lite and I have no shame in grabbing Chipotle three days in a row. However, my trips to Whole Foods are routine. They don’t just occur on work days when location proves convenient. I drive past other grocery and liquor stores to get there. What has Whole Foods done? For decades now, salespeople have been trained to honor the sacred WIIFM Principle (What’s in it for Me?) in everything they do. The rationale being that the more a salesperson can help his customers understand how the product will meet the needs of their unique situations, the more likely the customer will be to buy it. Knowing that the kind of people who go into sales are often the type who enjoy talking about themselves, the WIIFM principle provides a tool for keeping the presentation on track and paving the road toward that all-important yes. But that was then, and now, we need more. These days, customers need a different kind of help to lead them to that yes, so I suggest that we as digital marketers add a new concept to the WIIFM Principle, which I have dubbed The TCBM Principle, or That Could Be Me. This concept argues that many consumers no longer want to be like their role models, they demand the knowledge and resources necessary to become them. Have you participated in a Hard Charge? FREE Clicks (SEO) Becoming More Costly? If you happen to be one those folks who clicks on the first search results listing on page one of Google, you’re in good company. The majority, in fact, click on this before clicking on an organic ranking just a few listings under that paid advertisement. But, hold on. According to a recent infographic full of great data collected from WordStream about Google AdWords, over 45 percent of those searching wouldn’t know a paid ad search results listing from an organic search results listing had they not been separated by those nifty right columns. You’ll still need to rock both paid and organic rankings and rock them well. According to WordStream’s data, if an advertiser buys ads for keywords they currently rank organically for, 89 percent of the traffic from the paid ads will be new traffic. And, don’t jump ship on Google for Facebook ads just yet. The click-through rates on Google ads are 600 times higher than Facebook ads. Take a good look study at this infographic. Every fraction of an inch on this is filled with information that can help you and your dealership. Are you seeing your Paid Search Ad Spend Increase (CPC)? Are you tracking your High Commercial Intent Keywords? Sound off in the comments after feasting your eyes on this infographic! !